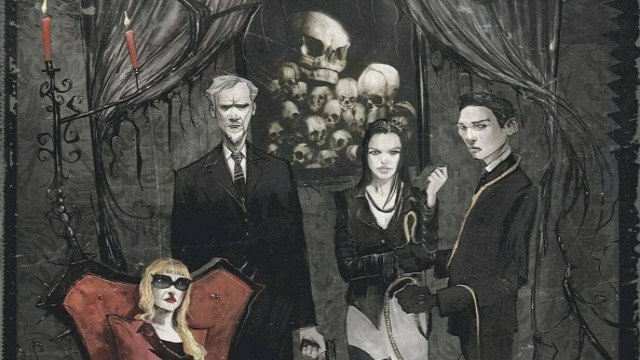 Deadline is reporting that Netflix’s upcoming adaptation of October Faction has cast two key roles. Tamara Taylor will portray Deloris Allen, J.C. MacKenzie has been cast as Fred Allen. Taylor is best known for playing Camille Saroyan on Bones. MacKenzie was a featured performer in The Wolf of Wallstreet. October Faction is based on the hit IDW comic book by Steve Niles and artist Damien Worm. The story focuses on Fred and Deloris Allen, a professional monster hunting couple, who return to the town they grew up in after the death of Fred’s father. Their children Geoff (played by Gabriel Darku) and Viv (Aurora Burghart) move with them to a place that may not be as quiet as it appears. Everyone in the story harbors a secret. Some aren’t even aware of the secrets they carry. The monsters are all around, and sometimes, the scariest moments come from the most familiar places. The first October Faction series ran 18 issues. and the creative team continued the story in October Faction: Deadly Season and October Faction: Supernatural Dreams. The comic is a combination of the Munsters and the Fantastic Four. There are plenty of scares and horror elements. Underneath that is a story about a family that isn’t perfect but is stronger together than apart. Damian Kindler adapted and created the ten episode Netflix series to be produced by High Park Entertainment along with IDW Entertainment. October Faction is scheduled to premier on Netflix sometime in 2019. What do you think of this latest casting news on Netflix’s newest foray into comic books and horror? Share your thoughts on October Faction in the comment section below.